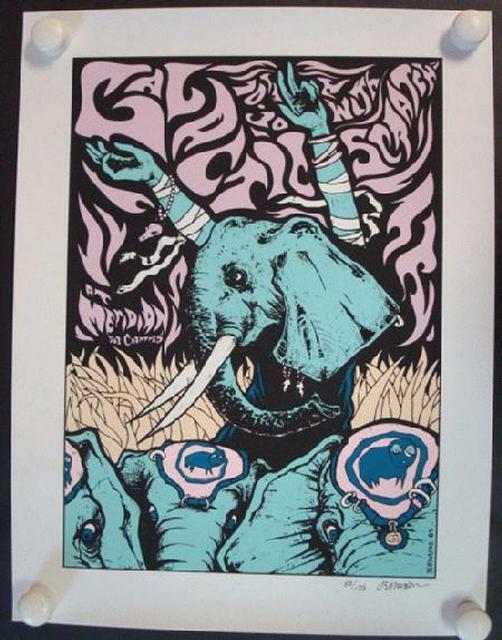 Original silkscreen concert poster for Galactic and Scratch at The Meridian in Houston, TX in 2004. 16.25 x 21 inches. Signed and numbered 83 out of only 125 by the artist Jermaine Rogers.